Description: Faith Evans Debut Promo Poster. Size 21x32. Item in mint condition. 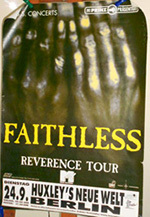 Description: 2001 Faithless German Concert Poster. Size 24x34. Item in VG+ condition. Shipped Rolled. 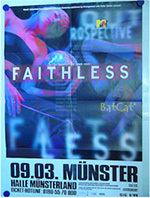 Description: 2001 Faithless German Concert Poster. Size 24x34. Item in VG+ condition. Shipped Folded. Description: Faith No More 1989 Retail Poster. Size 24x32. Item in mint condition. 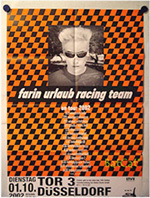 Description: 2002 Farin Urlaub Racing Team German Concert Poster. Size 24x34. Item in VG+ condition. Shipped Folded. 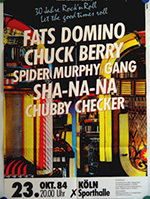 Description: 1984 Fats Domino Chuck Berry German Concert Poster. Size 24x34. Item in VG+ condition. Shipped Folded. 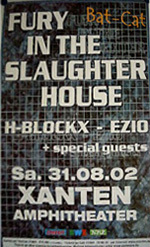 Description: Feds, Lestermor and Endocione Concert Poster. Size 22x25. Item in VG+ condition. 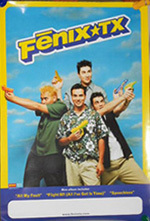 Description: Fenix TX German Concert Poster. Size 24x34. Item in VG+ condition. Shipped Rolled. 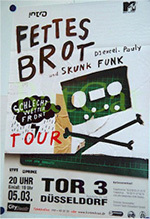 Description: 2003 Fettes Brot German Concert Poster. Size 24x34. Item in VG+ condition. Shipped Rolled. 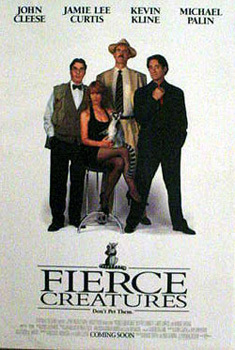 Description: Fierce Creatures movie Poster. Size 11x17. Item in mint condition. 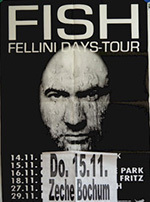 Description: 2011 Fish German Concert Poster. Size 24x34. Item in VG+ condition. Shipped Folded. 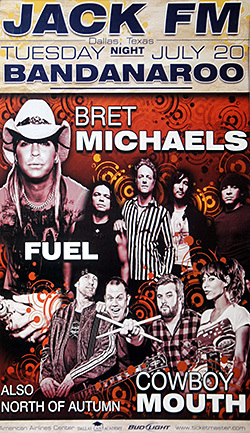 Description: Fuel, Bret Michaels and Cowboy Mouth Jack FM Original Concert Poster. Size 11x17. Item in VG+. 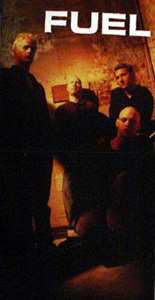 Description: Fuel Debut Promo Poster. Size 12x24. Item in VG+ condition. Item shipped folded. 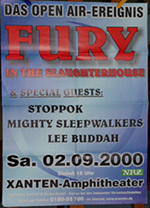 Description: 2000 Fury German Concert Poster. Size 24x34. Item in VG+ condition. Shipped Folded. 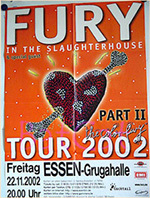 Description: 2002 Fury German Concert Poster. Size 24x34. Item in VG+ condition. Shipped Folded. 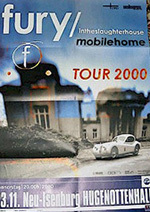 Description: 2002 Fury German Concert Poster. Size 24x34. Item in VG+ condition. Shipped Rolled.